Writing lyrics is a real art. In fact, writing truly great lyrics is basically a separate skill from writing great songs. A great song is made up of many different parts. The structure and arrangement. The melodies, hooks, and rhythmic variations. The harmony. And then, the lyrics. There are countless great songs with meaningless or clichéd lyrics. Not only are they great songs, but they’re also hits. Songs like “Come Together” or “De Do Do Do, De Da Da Da”. Even Taylor Swift’s”‘Look What You Made Me Do” has some pretty bad lines. My point is, a great song can be a great song without having lyrics that make you cry. On the other hand, a song with great lyrics can speak to people. People care about lyrics. A lot. They get them tattooed on themselves. They make shirts of them. They post them on Facebook. That’s why people care when they find out their favorite artist didn’t write the lyrics they care so much about. It hurts a bit and it makes you feel weird. Ghostwriting has been around as long as popular music has been around and it exists in literally every genre. Country, pop, rap, R&B, rock. Some of the most important artists of all time (Elvis Presley, Elton John, Whitney Houston, Rihanna) don’t write their own lyrics. They’re only occasionally credited as songwriters, oftentimes alongside six other writers. Personally, I do not look down on anyone for not writing their own songs. Interpreting songs has a long and rich history and is an art unto itself. Could anyone else have sung “My Heart Will Go On” like Celine Dion? I think not. That said, I do think there is merit to writing your own lyrics. Among other things, it’s a very cathartic way to create art. 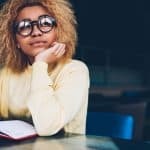 In this guide, I want to convince you that you should try writing your own lyrics, and I’ll also give you some tips for writing better lyrics. And if you decide to be more proactive with your songwriting, you’ll want to learn how to write a song here after. Some artists are able to take someone else’s song and interpret it through their own lens and their own voice. I’ve always thought this is an incredible ability. In my experience, this is difficult. If I’m playing a cover song, it feels like a cover song. When I’m playing something I’ve written, I feel emotionally connected to it. Sometimes this means I’ll deliver a better performance. My band experimented with co-writing, using writers in Nashville for a while. We came up with some good songs, but we ended up canning them. Playing them just didn’t feel as good as playing our own songs, and at the end of the day, we just wanted to play music we cared about. Being able to write your own lyrics allows you to communicate thoughts and musical ideas that come from your own brain. This means you’ll be connected to what you write, and you’ll probably care more about it. Now, this is highly debatable. As I said before, I have no issue with artists who use ghostwriters. That said, I love hearing that a band or an artist makes their music all by themselves. For example, it was very impressive to me that John Mayer’s latest album, and arguably the best album he’s released since Continuum, is all written 100% by Mayer himself. No co-writers. As one of my favorite artists, this cemented him in my mind as being the talent that I thought he was. When you write your own lyrics, it adds intrigue to your story as an artist. The more people hear your songs, the more they’ll develop an image of you in their heads. Some fans will begin to notice patterns, and may even pick up on things you were going through at the time. It’s absolutely not necessary that you write all of your own lyrics, but it does add a certain amount of credibility to what you’re doing, and makes your whole image that much more impressive. 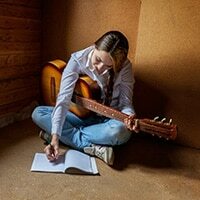 Co-writing can take many shapes and forms, and it’s not totally necessary to provide lyrical input, however it does make you a well-rounded writer, if you can write both music and lyrics. Even if you’re helping someone produce a song, having an understanding of what works and what doesn’t is imperative. 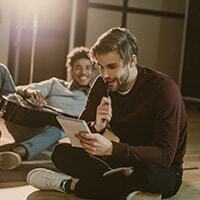 There is no better way to learn about writing lyrics than writing lyrics. Reading a book or an article about writing lyrics won’t teach you nearly as much as trial and error will. Co-writing is a great way to potentially make money, make more music, develop deeper musical relationships, and hone your writing skills. If you can contribute some banging lyrics to a song, you’ll be that much more in-demand. Writing your own lyrics means you keep a bigger chunk of the royalties earned from the song. If you record a cover song that does well and gets a bunch of play, you don’t earn any publishing royalties from that song. If you write your own song and your own lyrics, you get to keep all that publishing money. Even if it’s a co-written song – the more of the lyrics you wrote, the more publishing you’ll get to keep (depending on your writing arrangement). Obviously, if a cover song is what breaks your career wide open, who cares? The money will come one way or another. 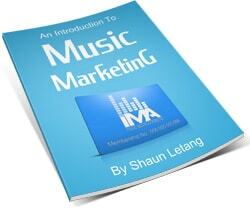 But the more music you make, the more important it becomes to hold on to those publishing rights. The truth is, as soon as you sign a publishing deal or a label deal, you’ll end up giving up half of those rights anyways. So, the more you have to begin with, the better. People have written entire books on writing better lyrics and why some lyrics work better than others. I’m not promising to change your life here. But, if you’ve found that writing lyrics is challenging because you think the lyrics you write are bad, then I can help you get over that. I’ll also give you some tips, that when properly used, can help you write objectively better lyrics, but most importantly, can help you feel more confident about the lyrics you write. I looked up several articles detailing “songwriting tips”. What I observed was that several experts were advising against saying the same thing in the first and second verses, just in different ways. There are no rules. Your song does not need to be some magnificent story arc that develops and changes over the course of two verses. Sometimes, it’s completely fine to say the same thing twice, in different ways. It can drive home the point, and it’s not going to confuse the listener. Most pop songs do this. They’ll basically focus on a sentiment or mood that leads you to the hook. Then, they’ll just do the same thing, with different words, in the second verse. This is not a problem and does not make your song “boring”. Also, some people worry about making a chorus “too simple” somehow. This is not a concern. A simple chorus is usually a good move. It gives listeners time away from new ideas, and allows them to groove on an idea they’ve heard before. All that said, there is also absolutely nothing wrong with writing songs around stories. The problem is, these types of songs are hard to write. And if you’re having trouble, forget about the story, just focus on delivering a feeling or a mood. I also read a bunch of articles encouraging writers to use details in their verses. Details can be awesome. Some of my favorite songs of all time paint a picture in your head with so few words, it’s almost unbelievable (check out the band Dawes for amazing examples of this). That said, there are a million and one songs that don’t do this. Songs don’t need to be about something incredibly specific. Sometimes it’s better to let the listener decide for themselves what the song is about. In fact, I’ve had songs ruined by finding out what the song is actually about. There is nothing wrong with being vague, as long as the lyrics set a tone, make some sort of sense with the chorus, or are at the very least, catchy and easy to sing. There is also nothing wrong with being super specific and going into great detail. Just be aware that you are not the only one listening to this song – someone else is going to listening as well! There are no rules, so do whatever you want. Sometimes, a word can rhyme, fit the rhythmic phrasing, and still not feel right. This is often because a word doesn’t “sing well”. It may not be suited to your voice, or it may not be a nice sounding word. There is a reason why “higher, desire, and fire” are in so many songs. They sing incredibly well together (also, they’re super cheesy – avoid singing these words consecutively). Lyrics are different from poetry in this major sense: they have to be sung. If it doesn’t sound natural, can it. If you find a lyric that doesn’t totally make sense, but is amazing to sing, consider keeping it around. Sometimes, it’s better to sacrifice the story in favor of a singable lyric. One final note on this topic: some artists can pull off words that sound weird. If you are in love with a “bad sounding” word, then keep it. There are no rules. Little words like “because”, “and”, “but”, etc. can and should be used in your lyrics. The can help drive a lyric rhythmically and they also help listeners follow along. That said, you may be able to do without them. I always look for ways to say what I want to say in the least amount of words possible. This usually allows me to deliver the line more rhythmically and make the line into a better hook. That said, this does not apply to all types of music. I do not write rap or hip-hop and I have no idea if removing these kinds of words helps those phrases. All I know is, in pop music, less is often more. Half the time, I’m singing along to songs, and I don’t even know the lyrics, but the rhythm and melody are hooky enough to be memorable. This goes along with words that “sing well” and trimming the fat in your lyrics. I’m always trying to make lyrics fit into rhythmic boxes that are catchy to sing. I always want the vocal to be in the pocket, grooving along with the instruments. Listen to pop singers – they are masters of delivering lines in very rhythmic, groovy ways. Often, people do this at the expense of a good lyric, simply because a good hook is catchier than a good lyric. Again though, there are no rules. There are many, many songs that have lyrics that jump all over the place, and we still love them. A great song is a subtle balancing act between the music, the arrangement, the production, the instrumentation, and the lyrics. It takes a lot of practice to make something really great. The best piece of advice I’ve ever received on writing songs is: just do it. If you don’t do it, you’ll never know. If you never write bad songs, you’ll never write good ones either. If you never write terrible lyrics, you’ll never write a good lyric. I learn something about songwriting every single time I write a song. 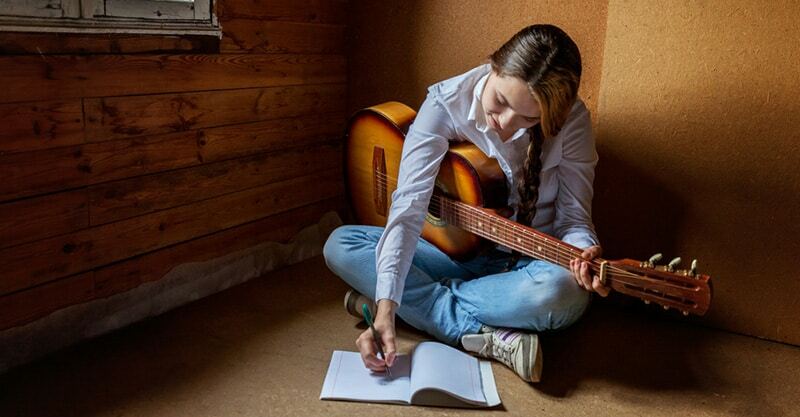 You’ll learn something too, so get cozy, and write a song.